As a reputable marquee hire company in Cape Flats, we strive to ensure that all our clients save time, money and effort yet make their events a success. We have a huge variety of versatile tents available in different colours, shapes and sizes. No matter the occasion at hand or the weather, you will experience the event of your life with a beautiful and robust covering over your head. Give us a call today; we look forward to making your event memorable. We exhibit the highest levels of professionalism. Our service includes delivery, assembly and removal after the event. We are always available to respond to your call even if you need quality services on a short notice. We deliver what we promise and at an affordable price. Call us today on 021 300 3641 to experience an advanced level of service and quality. 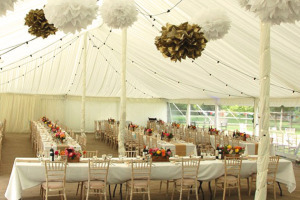 By working with our qualified marquee tent hire Cape Flats team, all your tent needs will be met squarely. In addition, should you require other services such as for décor and drapery we will be glad to assist. You might also prefer a quality stretch & Bedouin tents hire to make your event that much more memorable! We promise you nothing other than quality and professionalism at an affordable price. Call us today!